There is a long-standing relationship between the Fire Company and the Bird-in-Hand Corporation, which is owned by members of the Smucker family. The Smuckers have been a part of the Bird-in-Hand community for over 100 years, since they bought their farm east of the village in 1911. As the Smuckers farmed their land, they developed close ties with their neighbors and became involved in community life by joining the Fire Company. Eighty-five-yearold John I. Smucker remembers leaving the farm chores as a young man to drive the engine to the fires. These family members served as Fire Company chiefs: Paul Smucker in 1972-1977 and Jerry Smucker in 1978 and 1982-1986. This multi-generational relationship between the Smucker family and the Fire Company still benefits the community today. 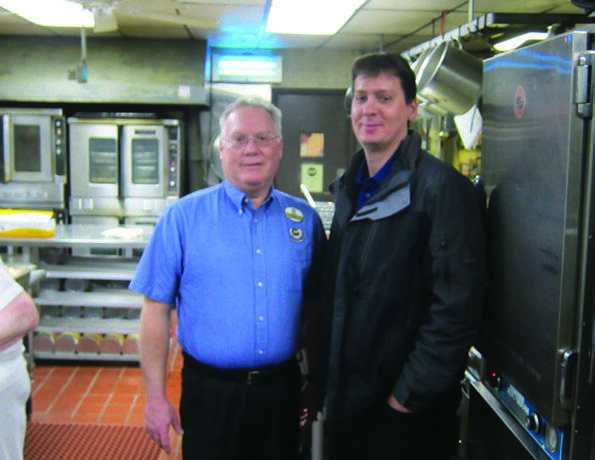 Presently two of the largest fundraisers for the Fire Company have been developed in collaboration with the Smuckers. In the late 2000s the Fire Company made a strategic shift in their approach to fundraising by seeking out a few large events instead of many small fundraisers. At the same time Bird-in-Hand Corporation wanted to use its land on the Smucker Homestead as an event venue. In June 2008 with the help of Jake King, Paul Stoltzfus and Elam Petersheim, they worked together to bring the Lancaster County Carriage and Antique Auction to the village. A successful partnership was formed with Bird-in-Hand, which provides the event site and also financial and technical assistance. Many of the Smucker Family are avid runners, including Jim and John Smucker. In November 2010 Jim and John were instrumental in promoting and organizing the first Amish Country Bird-in-Hand Half Marathon. They also had the innovative idea to connect the race and the Fire Company. The event on the Homestead has evolved into the Run, Ride, and Soar weekend in early September, bringing thousands of people to the village. This has become a very profitable event for the Fire Company whose members serve as volunteers. Bird-in-Hand and the Fire Company are committed to grow this event and make it more efficient. The emphasis is on friendly hospitality that creates an unforgettable experience in our picturesque community for the runners and other Guests. Bird-in-Hand Corporation provides the infrastructure for events. 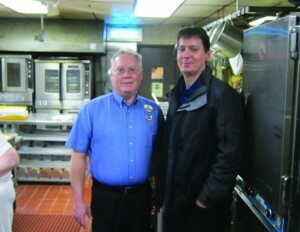 Darryl Hassler, Restaurant Operations Manager, consults with Fire Company Vice-President Paul Fisher. Together they offer the Friday evening Pasta Dinner on the Run, Ride, and Soar weekend under the big tent on the Smucker Homestead.